The small plains town of Ingleside, Nebraska, is populated by down-on-their-luck ranchers and new money, ghosts and seers, drugs and greed, the haves and the have-nots. Lives ripple through each other to surprising effect, though the connections fluctuate between divisive gulfs and the most intimate closeness. At the center of this novel is the story of Teensy and his daughter, Luann, who face the loss of their land even as they mourn the death of Luann's mother. On the other end of the spectrum, some townspeople find enormous wealth when developers begin buying up acreages. When Glory Days-an amusement park-is erected, past and present collide, the attachment to the land is fully severed, and the invading culture ushers in even darker times. 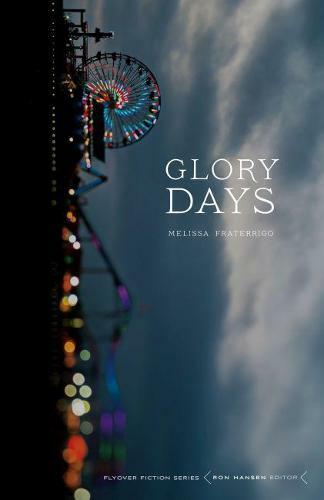 In Glory Days Melissa Fraterrigo combines gritty realism with magical elements to paint an arrestingly stark portrait of the painful transitions of twenty-first-century, small-town America. She interweaves a slate of gripping characters to reveal deeper truths about our times and how the new landscape of one culture can be the ruin of another. Read the author's discussion guide.